Located in the heart of beautiful countryside and covering a mammoth 25 acres, the Centre promises a charming and nostalgic day out. 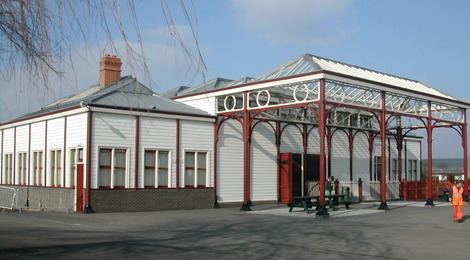 Exhibits range from large express passenger locomotives to the humble shunting engine together with a host of smaller items recreating the golden age of steam. 17-20, 24 Feb; Sun-Wed Apr-29 Sep, 27 Oct-3 Nov. Some Sat for events. Static most weekdays but steam Wed 31 Jul-28 Aug, 30 Oct. Santas in Dec.
Whatever your interest area is almost certainly we can fill it! 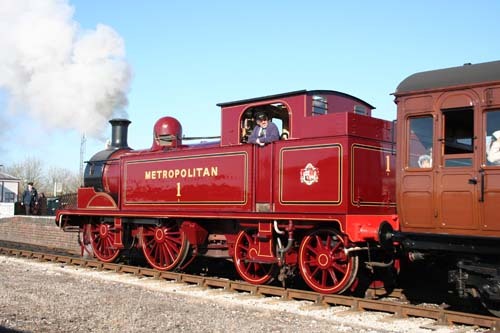 We have locomotives and carriages from the later 1800s such as the Beattie well tank of 1874, and the Metropolitan Railway tank (1898), a unique London Chatham & Dover Railway coach (1880) and a Great Northern Rly brake third of 1890 through to BR era stock which is used for passenger rides in the Up Yard. The London & North Western Rly kitchen diner of 1901 has the finest interior of any carriage to survive from that era and is coupled to a LNWR sleeper of 1907 now in use as a Cinema Coach. 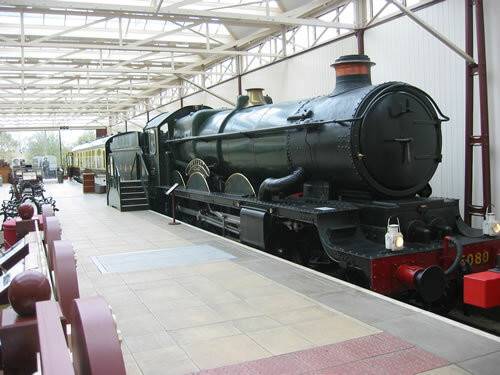 Grouping stock from the GWR, LNER and LMS is on display as are 3 GWR locos including Castle class Defiant. Our 'Wightwick Hall' and 7200 are both under restoration. Steam trains in the Down Yard, are operated on busier days using engines drawn from our large collection of industrial locomotives. Many railways have a cattle dock but ours is still believed to be the only one with a restored cattle wagon (and cow). The weighbridge hut tells its own story and how it fits into a country goods yard. As befits a goods yard we have an extensive collection of goods vehicles including one of the most complete “sets” of BR standard goods vehicles. We normally recommend that you should allow 2 to 3 hours for a visit but if you have a deep interest then this may not be long enough. If there is something that you particularly wish to see then please contact us in advance of your visit on 01296 655720 and we will do our best to help.